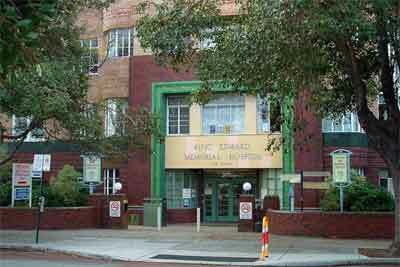 Mumbai: In the wake of demonetisation, as patients and their attendants are facing problems with the payment of hospital bills, King Edward Memorial Hospital ( KEM Hospital ) has opened two special counters dedicated to the exchange of INR 500 and 1000 rupee notes with the new ones. The counters were opened on Tuesday, one under Punjab National Bank and another under India Post. By the evening, the counters had catered to around 409 staffers and patients for exchange of old currency. Around 15 Lakh scrapped currency cash were being deposited at both the counters by the evening that day, Rs. 5 lakh were exchanged by Punjab National Bank and Rs. 10 Lakhs by India Post. The patients and their relatives at the counter are required to produce a copy of the hospital bill at the counters as well as necessary documents including Adhar Card and PAN card. The Maharashtra government in its step towards providing a solution to patients and their attendant problems during payment of bills issued a directive that all the government hospitals across the state will have to accept the demonetized currency for patient treatment till November 18. Also, the directive issued by the state government allowed private chemists to accept the old currency. Its is reported that 60 percent of patients coming to government hospitals in Mumbai are from outside regions. There are also many patients which do not even own a card. The data also suggests that the average footfall of BMC run hospitals counts to 30,000 to 40,000 in its out-patient department. While, on an average 2,000 patients are admitted every day. On private hospitals, the Maharashtra Government has handed a circular to these hospitals, directing them to accept cheques from patients in case they do not have latest currency.